I've only run a little over 700 miles in 2016, however 107 of those have come from three races in just the last 30 days. 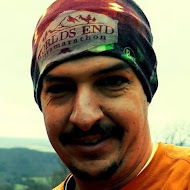 After the Pine Creek 100k (video) and World's End Fall Classic (video) I could have said 'good enough,' and put away my trail shoes for the rest of the year, but there are some races I simply refuse to miss. 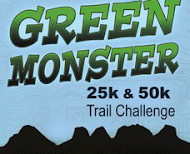 Having finished all four previous Green Monster Trail Challenges (facebook), I wanted to keep the streak alive with a second visit to the 50k course. Between the two videos above and my previous race reports (found here) I've said just about everything that needs to be said about the course, so I won't bore anyone with another blow by blow account. What I will say, however, is that every year this race gets a little bigger, and a little better, and as great as the course itself is, its the running community surrounding the event that is the real star. There are no people like trail people.